Let’s talk about a different kind of pop culture. Pop art. 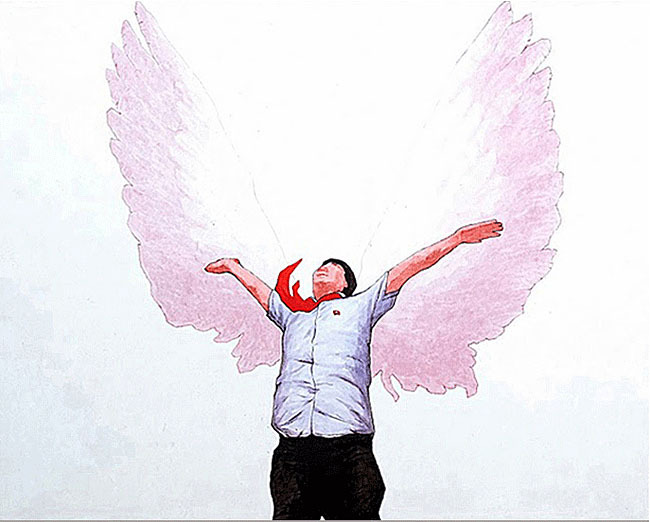 I first read about Song Byeok’s story in The Korea Herald. 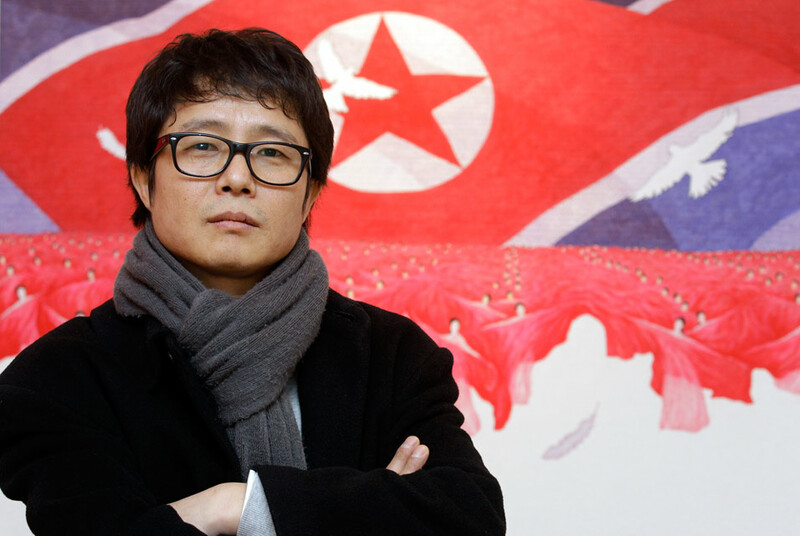 He was exiled to South Korea in 2002 but before that, he was a propaganda artist in the North. 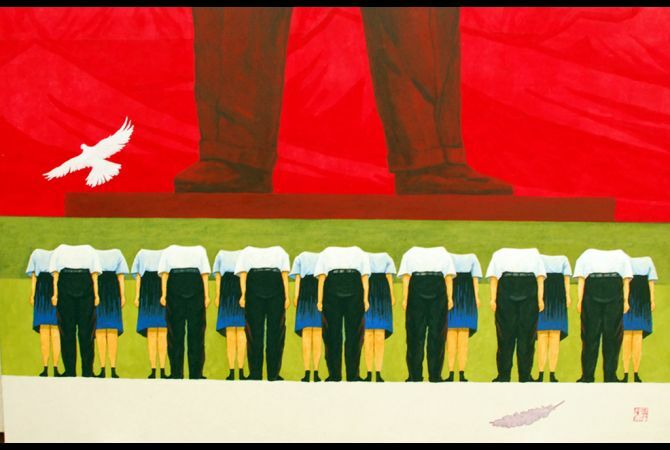 He lost faith in the North Korean regime after his mother and sister died during the famine in 1990s, and he saw his father drowning while crossing a river to get food in China. 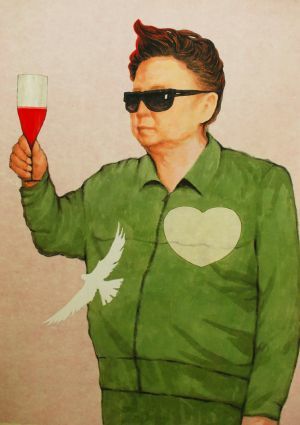 Now that he’s in South Korea, he said he is more free to paint whatever he wants though his art still says a lot about the place where he had escaped from. 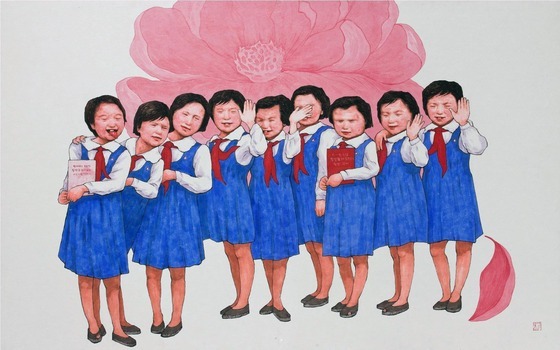 And for those of us curious about North Korea, it’s fascinating to look at his art pieces. I love pop art and one of my favorite works of Song Byeok is his painting of the children, who he said are so innocent and clueless about what’s happening in the outside world that they’re naturally curious, and that they don’t even know a man has landed on the moon (I doubt Dear Leader would have wanted his people to know that the Americans have landed on the moon a long time ago). Some stories of him here and here. Visit his website at http://www.songbyeok.com. Reblogged this on Living Patterns.